The use of flax dates back to the ancient Egyptians. The textile industry uses the plant fibers to make linen. 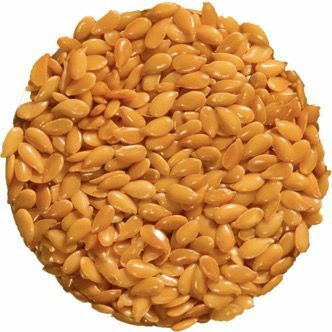 The seeds contain fixed oils, fiber and polyphenols (lignan) that possess essential nutritional and medicinal properties. Historically the ancient Greeks used flaxseed as a mild laxative, and this remains a valuable remedy for sluggish bowels. The fiber-rich seeds absorb water thus acting as a bulk laxative. Consuming ground flaxseeds ensures regular bowel movements. Soluble fiber also helps improves diarrhea and helps normalize stool consistency. Therefore, ground flaxseed can improve symptoms in irritable bowel syndrome (IBS). Externally herbalists apply flaxseed poultices to treat purulent skin infections, like abscesses. Flaxseeds contain the essential polyunsaturated fatty acids α -Linolenic acid (ALA) and Linoleic acid (LA), which are omega 3s and omega-6 respectively. Although many nuts and seeds contain omega-6s (LA), the western diet is generally low in omega-3s (ALA). Thus consuming flaxseeds helps balance the omega 3 to 6 ratio in the body and reduce inflammation. Flaxseed contains an important lignan glycoside called Secoisolariciresinol diglucoside (SDG). Gut bacteria metabolize and activate SDG to form mammalian lignans (enterodiol & enterolactone) that act as antioxidants, anti-inflammatories and are important phytoestrogens. Naturopaths often recommend ground flaxseeds to help balance female hormones. The phytoestrogens in flaxseeds reduce the risk of both breast and prostate cancer. Whole flaxseed contains fiber and lignans that improves glycemic control thus aiding weight loss and diabetes, however the oil doe not. Clinical trials show the ground seeds lower cholesterol and blood pressure. Also, the lignans, which are polyphenols, scavenge free radicals and reduce inflammation that both contribute to atherosclerosis. Therefore many components in the seed work synergistically to prevent heart disease.